Recommended For: Fantasy lovers who are looking for a novel that focuses on relationships of all kinds growing in a land rich in fantastical elements. Wilde Island is not at peace. The kingdom mourns the dead Pendragon king and awaits the return of his heir; the uneasy pact between dragons, fairies, and humans is strained; and the regent is funding a bloodthirsty witch hunt. Tess, daughter of a blacksmith, has visions of the future, but she still doesn’t expect to be accused of witchcraft. Surprisingly enough, this story started out not with dragons but with witches. Tess lives with her abusive father and meek mother in a small town that becomes overthrown by witch hunters. Unfortunately, Tess is convicted of being a witch by some villagers and is forced to succumb to tests to prove her innocence. Through a dramatic turn of events, Tess escapes and goes into hiding taking her two best friends with her. Soon after, the three girls are found hiding in a cave by a mysterious man. A man whom Tess has been having visions about for some time. Though her visions didn’t provide much insight as to who this man was or why he lives secluded in an old hunting lodge belonging to the late king. Tess and her friends are left with no choice but to put their fate into this man’s hands but Tess becomes determined to learn more about him and his dark past and they become bound as Tess learns more about herself as well. I enjoyed this book immensely. I was intrigued in the way witchcraft was brought into the storyline and I really enjoyed the way the author tied it up with the fae story and the background of Tess and her visions. Tess was a very strong character, she was brave and she didn’t want to be married off like other girls her age but wanted to draw, be independent and be able to run off into the woods whenever she wished, without a question from a man in her life. I liked that she had flaws to her character and wasn’t a perfect female lead, it made her more likeable. Garth was so likeable that I think I fell in love with him as soon as he was introduced. He reminded me of some of the male leads in Juliet Marillier’s books, specifically Red from Daughter of the Forest. He was calm, cool, collected but also so strong and willing to fight for what was right. The secondary characters were also wonderful contrasts for Tess, her friends started off as girls who wanted nothing more than to be married off and taken care of. Once they were all thrown into danger these girls changed and their strengths came out. 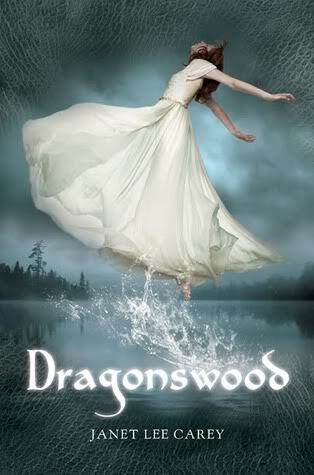 I loved the plot twists and the introduction of the fae into the already dragon ridden world that Tess lives in. It was interesting to see how strong Tess was when she was given everything she thought she wanted and how she weighed it against what it would cost her. I also adored the love story of this novel. It was not instantaneous which always makes me very happy but it was gradual and heartbreaking and strong and most importantly, it was believable. I wanted more from this love, though the author provided just enough to make it beautiful and lasting in my mind. I liked this book significantly more than Dragon’s Keep and I recommend it to fantasy lovers who are looking for a novel that focuses on relationships of all kinds growing in a land rich in fantastical elements. Their union will be bound by three. Three races in one child combine. 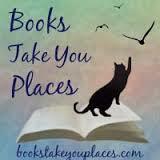 This entry was posted in Reviews, YA Fantasy Challenge, Young-Adult and tagged dragons, fantasy, magic, romance. Bookmark the permalink. I'll admit I danced around this review a bit not wanting spoilers for Dragon's Keep, but I am happy to hear that you thought it was significantly better! I love books that focus on relationships, and I love good world building. Plus, this cover is amazing…how could I not want to read it?